As explained on the page about writing your offer, financing is typically a contingency in an offer to purchase. Unless you are writing a cash offer, it is a very important contingency. With the recent upheavals in the real estate and banking industry, understanding the mortgage process is more important than ever. The first step- STOP LISTENING TO THE NEWS! Contrary to what we are hearing from the media, the sky IS NOT FALLING! There is mortgage money available. And the banks are NOT requiring DNA samples in order to lend the money. There have been changes over the past few years. And there will be more changes in the mortgage industry. But the bottom line is if you have decent credit, have had the same job for the past couple years, and some down payment money you will be able to get a mortgage. If you don't have much of a down payment, you can still probably get a mortgage. FHA mortgages are still a great program that has been around forever and is sticking around for the foreseeable future and requires 3 1/2% of your own money (or a gift from a close relative). You can still ask the seller to cover quite a bit of your closing costs on an FHA loan. There is still 100% financing available through the rural development program, but there are restrictions on your income and location of the house. Your income is capped and the amount is determined by the size of your household and county the property is located in. Don't take the name of the mortgage literally. The loan is not limited to rural properties. Oxford, Brandon/Ortonville, Holly for example are eligible areas for rural development financing. That includes subdivision houses. Lakefront houses. Even site condo developments and condominiums. One other form of 100% financing is good ole tried and true VA loan. If you are a veteran you probably qualify for a VA mortgage. If you qualify for other types of financing, you will probably want to opt for that (as opposed to the VA loan). There are some problems involved with VA financing- mostly the appraisal process. The appraisal is basically to protect the lender; it's supposed to make sure the property is worth what the lender is lending. The problem with the VA appraisal is, to be blunt- screwed up. The lender gets an appraiser off a VA approved list. The last time I had a listing sell VA the appraiser didn't belong to either multiple listing service for the county the house was in. But the lender couldn't request another appraiser and the sale almost didn't close. But if a VA mortgage is the best fit for you, I am experienced with the process and know how to navigate through all the red tape. For more information about financing or for help getting started with your pre-approval please feel free to contact me anytime. How Much Does The Interest Rate Really Affect Your Buying Power? I am going through old listings that couldn't sell at the owner's desired price and through files of home owners who didn't try to sell after getting a market analysis (CMA) for their home because of the value at that time. The good news for those homeowners is that prices are coming up in the Clarkston area and have been for the past couple years. But for buyers- if you look at your payment instead of price- prices are still very low. As an example I just pulled up a listing I had in 2007 that was asking $400,000. At that time the interest rate for mortgages was at an average of 6.34%. When I checked the Freddie Mac web site I found the average interest rate last month was 3.92%. What does this mean from the buyer perspective? If you would have bought that particular house for $305,000 in 2007 your payment (principle and interest) would be the same as if you were to pay $400,000 today. That's a hundred thousand dollars worth of buying power just in the difference in the interest rate. But it gets better!!! The property taxes on that house have dropped from just over $6k/year to just over $4600/year. That's $116/month savings in your house payment. Interest rates are not going to stay this low forever. Home prices are on the rise- not skyrocketing, but steadily rising. If you have been holding off buying waiting for the market to hit bottom I think we may be there- especially when you factor in the mortgage interest rate and property taxes. AND the cherry on top is the fact that your property taxes will be capped to 5% or the rate of inflation as long as the house is your primary residence. So for the example above it will take quite a while before property taxes are back at 2007 amounts. Why Would You Ask the Seller to Pay for the Well and Septic Inspection? I was talking to a couple of agents at the office yesterday and one of them was complaining about our purchase agreement asking for the seller to pay for the well and septic inspection (if the house is on well and/or septic). He was saying that perfectly good offers were getting countered because of this one item. He has a couple of options- he can cross out seller and hand write in buyer and have it initialed, or he can cross out the whole paragraph and the buyer can make it part of his general home inspection. Another agent wanted to know why he would want that removed; after all he is working for the buyer and the seller should have to prove their well and septic worked properly and the water clean. Like supplying clean title. I ask- As a buyer’s agent why would you put the seller in charge of ANY of your inspections? “Back in the day” many of the purchase agreements asked for septic inspections to be performed by the county. Oakland County used to send out a sanitarian, who would walk out to where he thought the septic field was, sniff the air, and approve the septic. That’s not really much of an exaggeration. 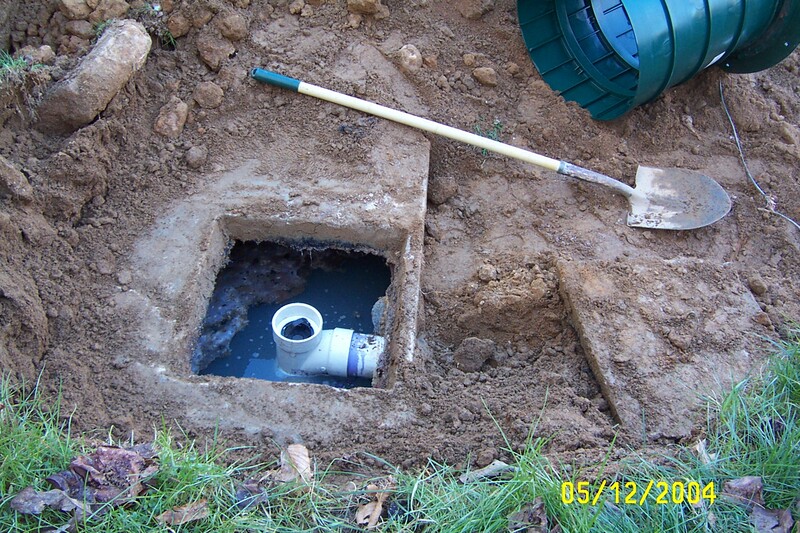 The point is, there is no hard and fast rule as to what constitutes a well and septic inspection. And most purchase agreements that have pre-printed that the seller is to supply a satisfactory well and septic inspection don’t specify exactly what they want done and what constitutes satisfactory. Just a sniff test? A dye test? Open the tank and take core sample from the field? And the water…. Who is collecting if the seller is having it done? What lab? Are the including arsenic and lead? Do you even care if the water is tested? Because no matter what the purchase agreement states, you REALLY are paying for that well and septic inspection. Sellers have a bottom line and any costs you ask them to cover will be factored into the sale price. So really you are still paying, but giving up the power to have any say in how those inspections are performed and who is performing them. Sellers- If you get an offer asking you to pay for the well and septic inspection DO NOT COUNTER that condition. In the whole scheme of things, the couple hundred dollars a well and septic inspection costs is nothing. Let the buyer’s agent “save” them $200 or $300. I’m not suggesting you would cheat and send distilled water to a lab, but if you hire a home inspector to collect the water and take it to the lab you have control. We don’t know the buyer’s inspector. We don’t know how long that water sample might roll around in his trunk. Also, if you’re paying, a dye test for the septic is sufficient. It’s what is required by FHA, but doesn’t tell you the condition of the field or tank. It just means it’s working. I don’t know why brokers pre-print contingencies in their purchase agreements. Everything is negotiable. There are no standards, and old customs have been changing to reflect the high percentage of foreclosure and short sale listings. It’s presumptuous to assume in advance how ALL buyers want to negotiate their home purchase.